If you do not want to receive E-mail from us in the future, please let us know by sending us E-mail at: Info@BocaRaton.com, or by calling us at the above telephone number and or writing to us at the above physical office address. From time to time, we make the E-mail addresses of those who access our site available to other reputable organizations whose products or services we think you might find interesting. If you do not want us to share your E-mail address with other companies or organizations, please let us know by calling us at 561.338.7594, E-mailing us at the above E-mail address or by writing to us at the above physical office address. From time to time, we make our customer E-mail list available to other reputable organizations whose products or services we think you might find interesting. If you do not want us to share your E-mail address with other companies or organizations, please let us know by contacting us by phone, E-mail or sending us mail at our physical office location. If you supply us with your postal address on-line you will only receive the information for which you provided to us at your mailing address. Persons who supply us with their telephone numbers on-line will only receive telephone contact from us with information regarding orders they have placed on-line with BocaRaton.com . To be removed from lists that we share information with to other organizations, please provide us with your full name, address and phone number so we can be sure your name is removed. With respect to Ad Servers: We do not partner with or have special relationships with any ad server companies. From time to time, we may use customer information for new, unanticipated uses not previously disclosed in our privacy notice. If our information practices change at some time in the future we will post the policy changes to our Web site to notify you of these changes and provide you with the ability to opt out of these new uses. If you are concerned about how your information is used, you should check back at our Web site periodically. Customers may prevent their information from being used for purposes other than those for which it was originally collected by calling us at the number provided above, E-mailing us at the above address or writing us at the above physical office mailing address. Upon request we provide site visitors with access to transaction information (e.g., dates on which customers made purchases, amounts and types of purchases) that we maintain about them, contact information (e.g., name, address, phone number) that we maintain about them , a description of information that we maintain about them. Consumers can access this information by E-mailing us at the above E-mail address, call us at the above number given or by writing to us at the above physical office address. Upon request we offer visitors the ability to have inaccuracies corrected in contact information, financial information, transaction information. Consumers can have this information corrected by sending us E-mail, by phone, or by writing to us at the above physical office address. If you feel that this site is not following its stated information policy, you may contact us at the above E-mail, phone number or by writing to us at our physical office address. 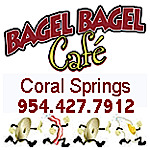 We thank you for stopping by BocaRaton.com, your favorite community portal. Have a pleasant day!